Scene from the coffin of Henui. XIII Dynasty. Gebelein. 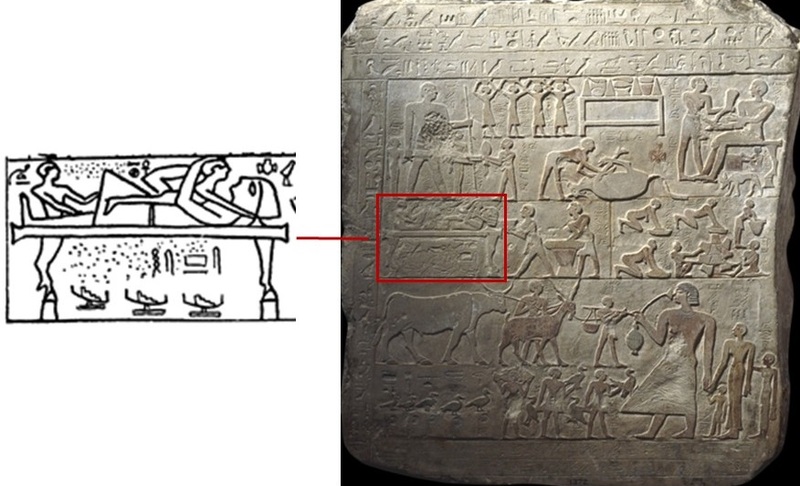 There is a very similar scene in the coffin of Henui from Guebelein and dating from the XIII Dynasty. 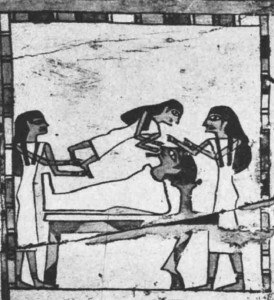 The Egyptian artist chose to represent the dead being assisted by two woman (the two mourners in the role of Isis and Nephtys) while a feminine figure lies over him for revitalising the body. One of the purposes of the mourning rite in Ancient Egypt was to give back to the dead the virility and it seems that the Egyptian art of the Middle Kingdom found the way of depicting this sexual symbol of the funerary thought. 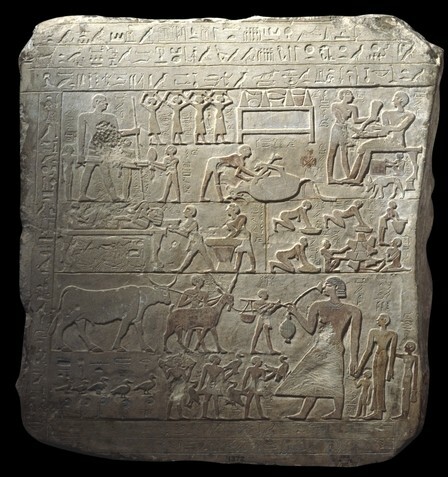 In the stele of Sebekaa the Egyptian artist included in the funerary corpus the moment of the mourning rite. He could have chosen to represent that moment just with the image of the two mourners at both ends of the bier, but in this case, we do not why, he depicted a sexual moment. So, the sexual connotation would not be uncertain, but sure.